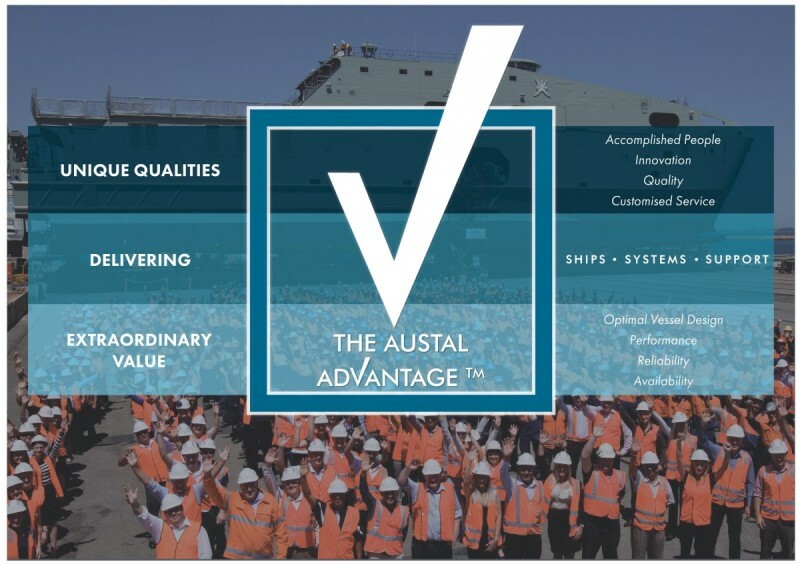 The Austal Advantage™ is the extraordinary value our clients gain from Austal’s accomplished people, focused on delivering innovation, quality and customised service across our portfolio of Ships, Systems and Support. Our unique ability to combine industry-leading shipbuilding skills and experience with modern and efficient manufacturing processes and a global service network is driven by success in listening to you, our client. The Austal Advantage™ derives from Austal’s core belief in our capability and demonstrated commitment to providing an exceptional client experience at every opportunity, which ultimately delivers the measurable benefits of optimal vessel design, performance, reliability and availability. Ask us how the Austal Advantage™ can add value to your maritime operations.